When my dear friend, Bishop Jim Swilley sent me a copy of his new daily devotional, A Year In The Now, I stopped everything I was doing and couldn’t put it down…that is until my wife took it out of my hands and I have had to pry it back from her ever since. Jim is one of the most effective, prolific, and unique communicators I have ever met. He breaks down deep and profound truth and makes it palatable for all of us in such a practical way that just reading the principles and reciting the affirmations increases our life skills. The days are broken down into seven key principles a day, seven being the number of alignment between heaven and earth (four being the number of earth, and three of heaven), whereby applying the seven daily truths your heart and mind are aligned with heaven’s best and you are automatically brought into the kind of agreement that gets results in your life. If you want to get the “more” out of your daily life that has been promised to you in Christ, I want to encourage you to get your hands on A YEAR IN THE NOW and make it a part of your daily spiritual discipline and focus. Oh yea, and if anyone else gets their hands on your copy in your family…buy another one because you won’t get it back quick enough! Deeply profound, yet ‘DO-ably’ practical. That’s how I describe Bishop Jim Swilley’s A YEAR IN THE NOW daily devotional. Bishop Jim’s ‘easy to read’ style of communication, combined with his witty grouping together of words that start with the same letter, define this devotional as a delightful way to delve deeper into your divine destiny as a daily discipline. Profound and practical, it’s the perfect proponent to promote your personal progress. 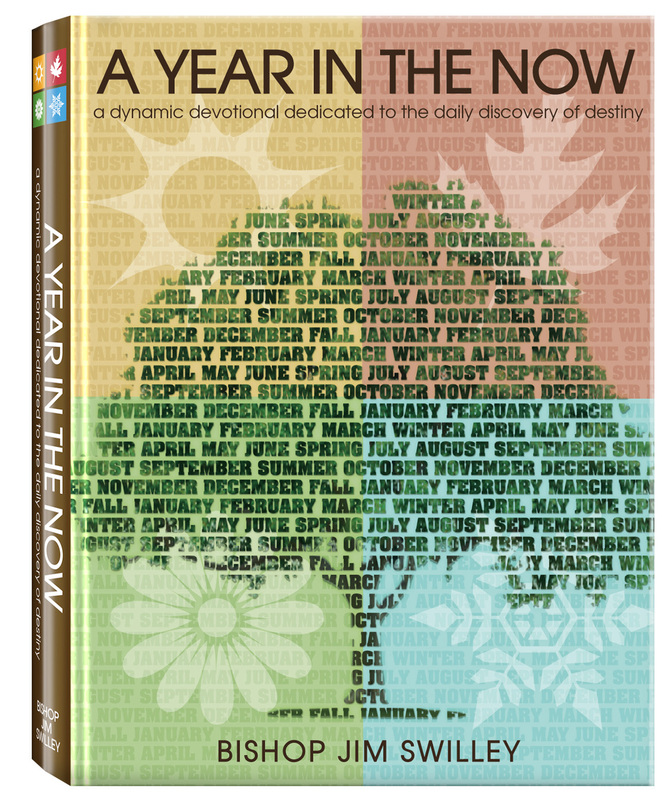 In the lowest point of my life, Dean and Mary Brown, from TBN, sent me this book, A YEAR IN THE NOW. On days when I didn’t feel I could even get up and face the day, I would pick up A YEAR IN THE NOW, and I would read aloud. Many days, the words I would read would be what got me up and out of bed and into life again. It was as though God knew that one day, Kirk Talley would need the ministry that was poured into this book. On days when I didn’t want to exist, it was life. On days where I wanted to cry all day, it would speak joy aloud and I would claim that joy for my own life that day. Most every day, I would hear myself reading from this devotional, saying, what I knew in my heart, I needed to proclaim. Daily, I read A YEAR IN THE NOW. And daily, it still is a great encouragement to me. Thank you, Bishop Jim for writing into this book, life to me.